Poly-(dimethylsiloxane) (PDMS) is extensively used in edible fats and oils as an antifoaming agent. However, in vitro cyto-genotoxicity analyses of PDMS in primary human cells are limited. The present study was performed as a safety assessment encompassing the cytotoxicity and genotoxicity of PDMS on human peripheral blood lymphocytes. Isolated lymphocytes were exposed to different concentrations of PDMS from 0 to 20 mg/l at 37 °C for up to 24 h. Our results suggest a significant dose-dependent decline in cell viability at concentrations 2.5 mg/l and above as estimated by trypan blue dye exclusion test and MTT assay. The IC-50 of PDMS was found to be 20 mg/l after 24 h incubation. Moreover, a significant genotoxicity were observed at 2.5 mg/l and above as assessed by comet and DNA diffusion assays. Hence, consumption of PDMS may not be safe at concentrations above 2.5 mg/l. Further studies are needed to establish its in vivo cyto-genotoxicity mechanisms. Adrita Chakrabarti and Ilika Ghosh have contributed equally to this work. 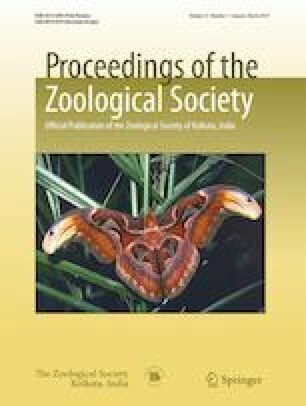 All authors have read and approved the manuscript and are aware of its submission to ‘Proceedings of the Zoological Society’. The authors acknowledge the PURSE (Promotion of University Research and Scientific Excellence) program of the Department of Science and Technology, Government of India, for financial support.